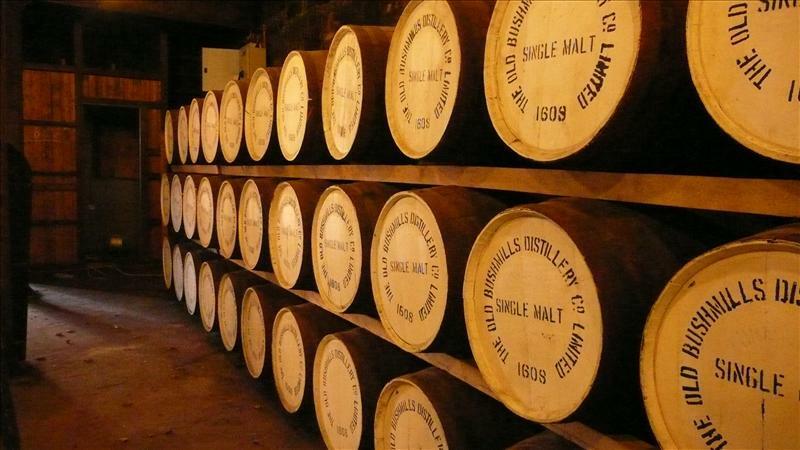 In the small village of Bushmills, settled on the banks of the river you’ll find the oldest working distillery in Ireland. A place where family and friends have worked for generations, in a small Northern Irish village that, for over 400 years, has kept to the philosophy that hand crafting small batches is the way to produce beautifully smooth tasting Irish whiskey using the same traditional methods and the water from the distillery’s own stream. Take in the sights and smells, enjoy tutored tastings and relax with a whiskey (or soft drink) in the 1608 Bar at the end of your tour, before browsing the excellent gift shop.